ATOUN to Assist Everyday Lives of the Elderly with the Wearable Robot, "Powered Wear"
Nara, Japan - ATOUN Inc. (headquarters in Nara City, Nara Prefecture, represented by Hiromichi Fujimoto, hereafter referred to as "ATOUN") has developed a new prototype, "HIMICO(*1)", a powered wear (*2) that can offer natural assistance while walking that is easier to put on and take off in comparison to conventional assist devices, by incorporating wire-type walking assist technology (*3) developed by the Business Innovation Division (hereafter referred to as "BI Division") of Panasonic Corporation. Using the funding provided in FY2017 by the Japan Agency for Medical Research and Development (AMED) to promote integrated medical research and development (for caregiving robot development and practical application) and by applying the know-how acquired through the development of the exoskeleton-type (*4) walking assistance powered suits, ATOUN has adopted wire-type walking assistance technology to create a new assist suit that can really be "worn." 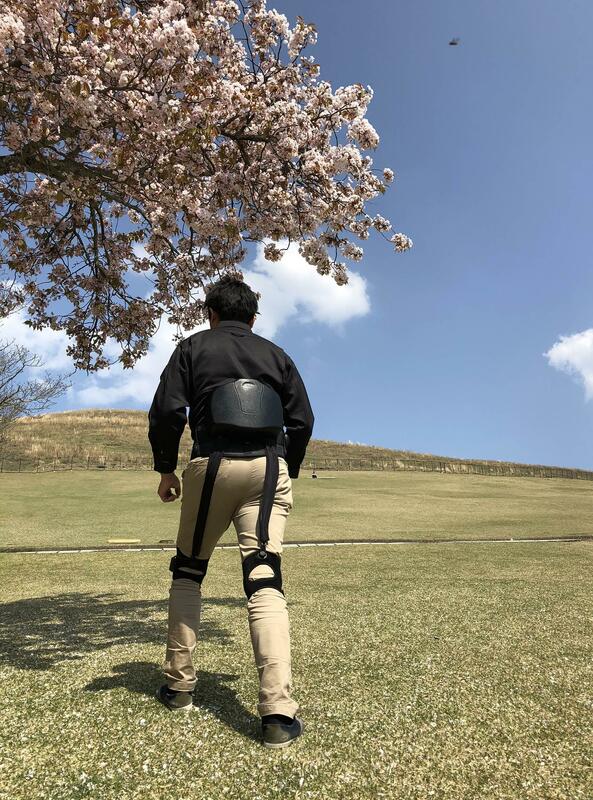 And from a clinical perspective, ATOUN has secured the cooperation of Dr. Masahiko Sumitani of the University of Tokyo Hospital in researching the impact this powered wear may have on walking. 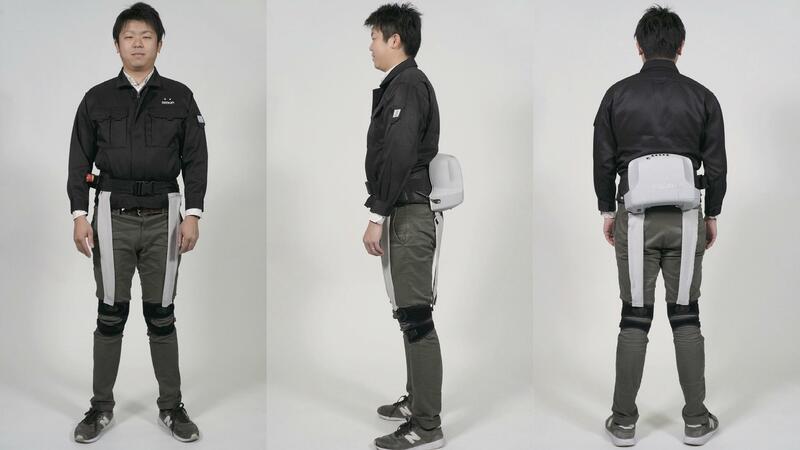 By wearing the powered wear, "HIMICO," elderly experiencing locomotive syndrome (*5) will be able to walk around effortlessly, and by rehabilitating their ability to walk, there are hopes that this will help restore a healthy state from not only musculoskeletal illness, but also from a wide range of potential illnesses such as adult-onset diseases. 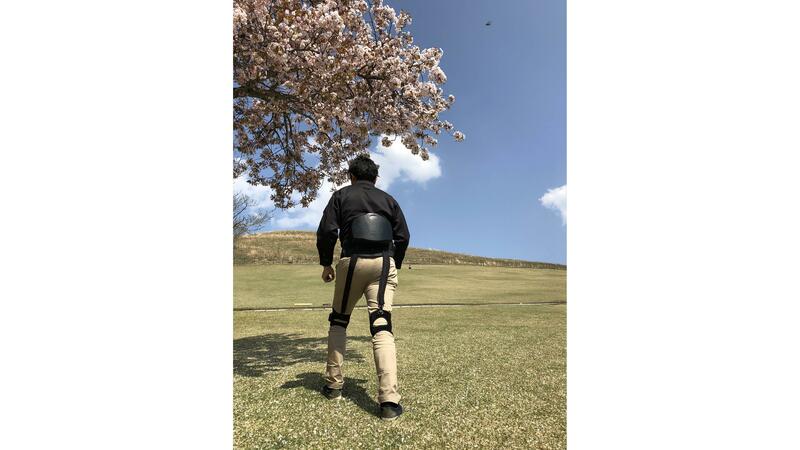 "HIMICO" is quite light, weighing in at 3.5kg, making it easy to put on and take off without any assistance, so it will help create an environment that enables the elderly to easily integrate walking training in their daily routine. Furthermore, ATOUN wishes that the powered wear will also be adopted by healthy elderly for light exercise such as walking and hiking, and in this respect, the Panasonic Corporation Tokyo Olympic & Paralympic Enterprise Division and the BI Division has conducted a demonstration experiment to test and further improve the current prototype. 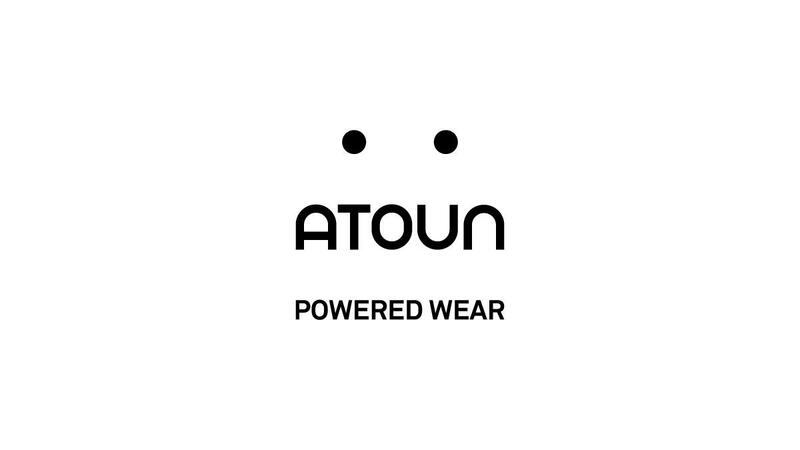 It is ATOUN's hope that the powered wear will not only be used in the field of welfare, but also to help promote health to help extend people's healthy life-span, to keep people walking for longer. In the future, while developing powered wear that may be used for walking training to keep potential illness at bay, ATOUN will also continue to develop prototypes that will help promote good health and begin test marketing in 2019 with a view to bring the product to the market. "HIMICO" is the development code name for this prototype. The product is planned to be named "Powered Wear ATOUN MODEL H."
Refers to a lightweight "robot that you can wear" equipped with motors that brings out human power. Using sensors, the technology detects walking motion, forecasts the gait cycle, and replicates human motion mechanisms using wires and motors to induce walking motion and provide walking assistance. In comparison to the conventional exoskeleton-type, this technology has made it possible to design a more ergonomic fit and provide assistance without hindering natural human motion. Refers to a powered suit that forms an exoskeleton equipped with parts that run alongside the human skeleton. A condition present in late middle-aged to elderly population who are at high risk of developing systemic musculoskeletal disability and limiting mobility (according to the Japanese Orthopaedic Association Corporation).